If you want an old Ferrari... today is the best day to buy one. Why? 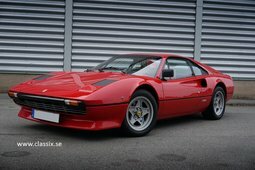 Because their prices are sky-rocketing, especially one that isn’t as well-known as the Ferrari Testarossa – the 308. 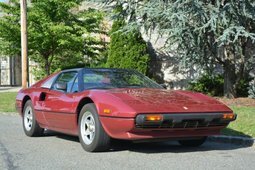 The Ferrari 308 was first introduced in the mid-‘70s and looked like a typical Pininfarina sports car of that time: broken lines, slightly rounded corners, and pop-up headlights. The car was supposed to become a mid-range Ferrari – something like the Porsche 928. Someone less knowledgeable about cars might say that it’s a true Ferrari – good looking and fast. But no, it was definitely not the fastest car coming out of Modena. Originally offered with an 8-cylinder engine with about 250 horsepower, and later – one that was a bit more modest, it didn’t feature impressive power. 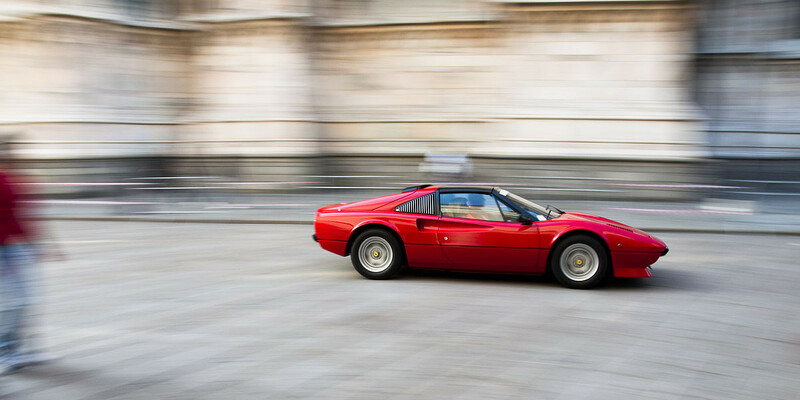 However, the design of the Ferrari 308 had something special. And that something special was noticed by television producers. 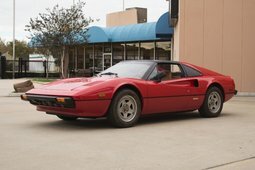 In Magnum, P.I., the crime drama series that was the most ‘80s thing on TV before Miami Vice came out, the main character, Thomas Magnum, drove a bright red 308 for all eight seasons. 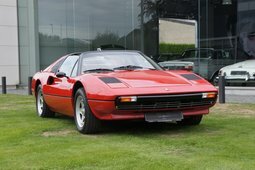 After appearing in a few more movies, the 308 became a Hollywood superstar and one of the most recognisable Ferraris ever. And if you want to buy one – sell your bitcoins and get one now, because their prices have been going up for several years now. For example, from 2011 to 2016, 308 prices increased a pretty 190 per cent. 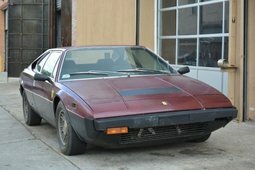 If you want to buy a 308 with a metal body in good condition, you won’t be able to do it without at least 50,000 dollars. In January 2018, 308s in good condition were going for around 75,000–80,000 dollars, and if you’re in the market for a really rare 308 from the first year of production, which has a fibreglass body, get ready to pay as much as fourfold – the amount you’d spend on a 308 like that could get you a new Ferrari. Together with models like the first-generation Golf GTI, the 308 is one of the old-timers that are increasing in value the most on the market. Yet there has to be a reason why 308 prices are ballooning like that, right? 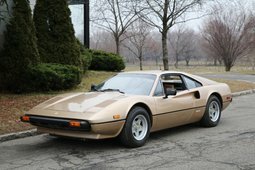 Ferrari produced less than 7,500 different GTS/GTB versions of the 308, and the majority of them are still in the United States. So it’s nothing strange that in Europe, their prices are still a few percentage points higher than that in the US. 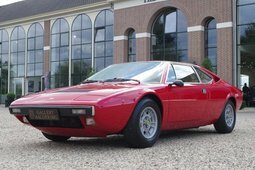 And then there’s the design – the 308 was basically the first modern Ferrari and acted as inspiration for a major part of future Ferrari products right up to the beginning of the 21st century, and even a considerable part during the 21st century. Another reason is that it’s fun on the road. 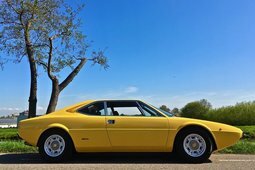 Even though it is not as powerful as the Ferrari Dino, the 308 has a well-adjusted suspension that makes it exciting to drive, and it’s lightweight, so the 8-cylinder engine can really get it moving. And the engine itself has a very pleasant purr. Handling is also honest – electronics like ABS can be found in 308s, but rarely. The absence of systems like these doesn’t compromise the car and allows it to easily accelerate to a reasonable speed, even without a particularly powerful engine. And the thing that really impresses potential buyers in this world of computer-controlled gearboxes is the “dog-leg” manual transmission. That means that even when you’re just parking at the mall, you can feel like you’re on a race track of the ‘70s! 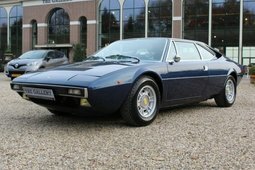 So if you have around 75,000 dollars, you can start looking for a 308. What should you pay attention to if you want to buy one? First you should decide if you’re buying it as a project car. Or maybe as a completely new car? The value of the car strongly depends on this. If all you want is a good body and are ready to work on the engine yourself, then your wallet is in a little more luck. If you also want a perfectly restored engine, then your 308 might cost you six figures. If you plan on investing in a 308 in the hopes of taking advantage of its rising price, look at earlier models that were produced in the pre-1980 range. And buy coupé models – for certain reason, their prices are about 16 per cent higher than the Spider versions. When looking for a car, pay special attention to its technical condition – after buying them, quite a few 308 owners didn’t have enough money left to take care of them, so the market is full of 308s with hidden flaws which can be a blow to your wallet once they come to light. If you've already bought a 308, you'll also need to remember a few things. First of all – 308s are expensive to own, and the quality of the model itself can be capricious. The fuel, cooling and electrical systems are all weak spots with the 308, as are the engine parts. By the way, don’t be fooled by low-mileage cars – the fact that they’ve been asleep in a garage for a long time means that you’re going to have to replace parts, since cars don’t like to stand idle. But the good news is that there are a lot of 30 parts available, so you won’t have to wait half a year or more when the engine starts to make weird sounds. The final verdict – is it worth getting a 308 now, in the spring of 2018? Experts advise waiting a bit until the prices stabilise. But overall, it is definitely worth having this model – which may not be the fastest but is definitely one of the most charismatic Ferraris around – in your garage.